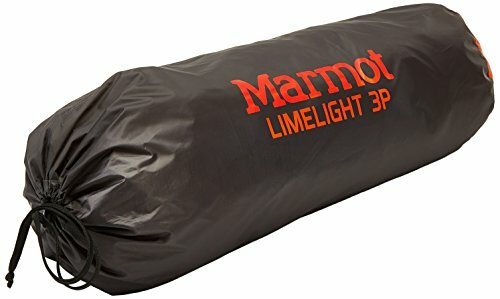 Marmot is quite a popular outdoor gear brand with a reputation for some excellent tents. Their Limelight series consists of 2 to 4 person capacity shelters, but their 3 person is an excellent all-around choice for many campers. The Limelight 3P is a beautifully built tent that is the perfect for a couple or a cozy trio. It has recently been updated and even though the original is still a great option, the new model is superb. The Limelight 3P would be a great choice for campers and weekend backpackers. It is particularly ideal for a couple that wants to share a tent or a person who often takes a friend of two along on trips. As a 3 season tent you are sure to get plenty of use from this model year after year. It is very reasonably priced and a great first tent for casual outdoor enthusiasts. Buying a tent isn’t always an easy process and certainly not one to be taken lightly. With Marmot’s Limelight 3P you can trust that it will keep you dry, warm and snug in pretty much any situation you can throw at it. 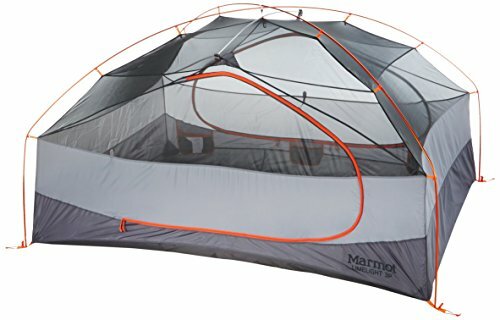 The Marmot Limelight tent isn’t just an awesome looking shelter. This high performance yet budget-friendly tent is loaded with features that truly set it apart from the competition. Before getting into the pros and cons, here are the details. There is no doubt that the Limelight 3P has numerous benefits. If the feature list alone wasn’t reason enough to seriously consider this model, check out these 5 major advantages. Excellent Design and Durable Materials – The updated Limelight 3P is a different design than the original, and arguably a much better one at that. The well thought out pole and clip set up allows for maximum interior space and dual vestibules allows for versatility. The poles are high quality DAC Press Fit poles with an aluminum Velocity ridge pole. Unlike the original, the updated version has ventilation in the fly which is a must for any tent of this size.This tent is resistant to damage and the heavier tent body materials used are going to last longer than competing products. Marmot even paid attention to the details, such as the Lamp Shade pocket- specially designed to hold a headlamp upright to provide hassle-free ambient lighting. Small Enough for Backpacking – The Limelight 3P is a bit on the heavier side for a 3 person tent, coming in at a little under 7 lbs. 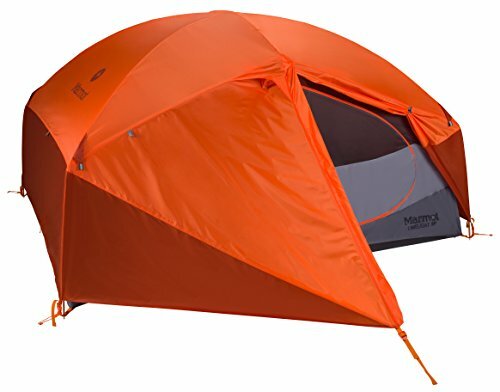 While this model is definitely not for ultralight backpacking or extended trips in the backcountry, it is light enough for one person to pack on short camping trips. You could also divvy up the tent and share the weight between two people. Very Weather and Wind Resistant – As a true 3 season tent you can expect the Limelight 3P to withstand almost anything thrown at it. You’ll remain dry in rainstorms thanks to the water resistant coating covering the fly. Despite the blocky shape of this tent it performs surprisingly well in high winds. A couple can easily wait out a storm in comfort in this shelter. Dual, Spacious Vestibule– Many smaller tents often skimp on vestibule space in order to save on weight. Thankfully Marmot didn’t hold back on this vital extra storage space. The vestibules are located right over the front door and are quite nifty. Unlike traditional designs, these vestibules are side by side. You can just use half of the vestibule for keeping dirty boots and other gear. Once inside the tent you can zip down the other vestibule to create about 19 sq ft of space, completely protected from the wet weather. Easy to Care for – Like many Marmot tents, the Limelight 3P requires very simple maintenance. If the tent happens to get dirty just use warm water and a sponge for cleaning. For bad stains or stubborn dirt you can use a very gentle detergent- don’t use chemicals or harsh cleaners. Never use a washing machine and do not submerge for an extended time as this will damage the waterproof coating. After washing you can either pitch the tent in shade to dry or hang on a line. Do not use a dryer or leave in full sun. If you do happen to have issues, I’d recommend some seam tape which can extend the lifespan by many years. The Limelight 3P original was already a very impressive tent that had a history of excellent reviews and it’s new updated version is even better. This model is really a no-fuss shelter perfect for two or three people in nearly any season. Amateur campers and pro backpackers alike will really appreciate the benefits the Limelight 3P offers. 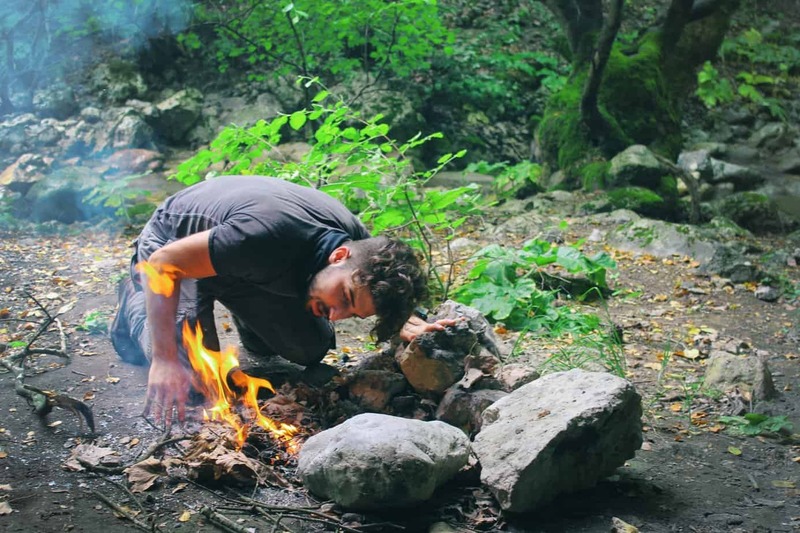 It’s always a good idea to do careful research before investing in any piece of outdoor gear, especially a shelter. It’s tough to find anything bad about the Limelight 3P but there are two complaints that some buyers have discovered. Tight Fit for 3 People – Oddly enough, majority of people that purchase the Limelight 3P actually buy it as a two person tent. With only 42.5 sq ft of space it would be a tight fit for 3 adults. If you do plan on using this for 3 people be prepared to rely on the vestibule area for gear storage. At maximum capacity there really won’t be much interior space for extra gear and backpacks. Lack of Pegs – Another complaint is that some have found that there tent didn’t come with enough pegs to completely set-up the Limelight 3P like the instructions recommend. You can buy more pegs from Marmot or purchase from a different source. Some customers have also found that the pegs are a bit flimsy for very tough ground so if you often camp in such terrain, you may want to a whole separate set of more durable pegs. Finding a smaller capacity tent that feels like a spacious, comfortable shelter isn’t always easy. 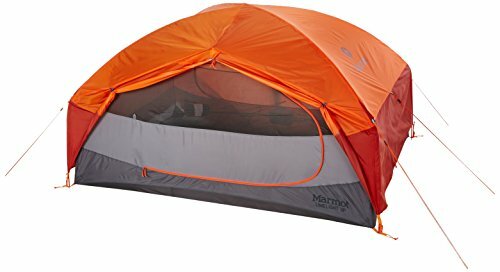 Marmot’s Limelight 3P is one such backpack tent that is perfect for up to a trio of friends. This tent is as tough as they come and will last you for years if cared for properly. If you’re interested in this model, check out this REI listing for the latest prices.